If you only remember one step, make it this one because it will change your life. Just be content with what you already have. So you want to be debt free quickly? Let me be the one to tell you that you don't deserve a new car, or another trip to Mexico, or a better iPhone. What's your first response to that statement? If it's something like; "But I work hard..." or "I like to have nice things..." or "I need it for work..." then we have already identified your problem. Stop saying these things that reinforce the attitudes and bad ideas that get (and keep) people in debt. And on that note, stop comparing what you have to other people that are in as much or more debt than you. One life-changing observation I made when living with less wasn't the amount of debt I paid off, but how much my 'desire for stuff' nearly vanished, even when I had extra money there was nothing I really wanted, and in my humble opinion this is true financial freedom. 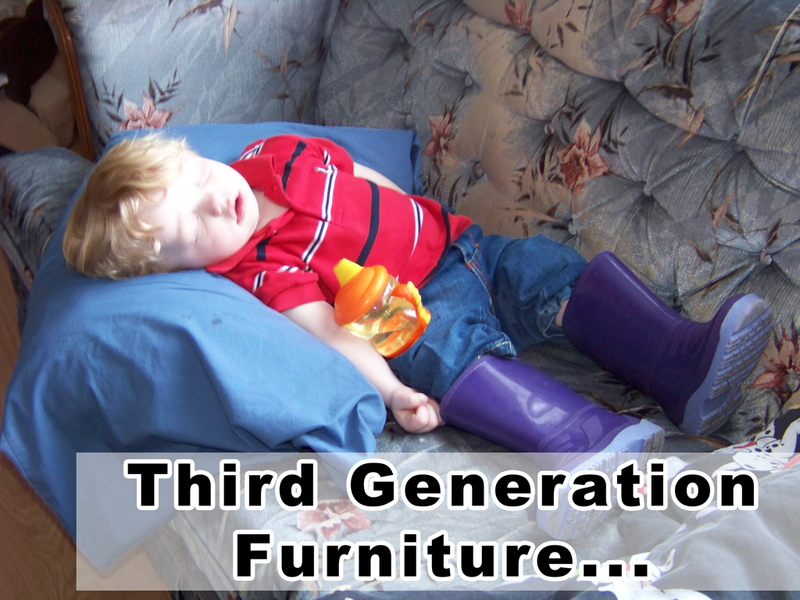 A symbol of this principle from my life was the 3rd generation hand-me-down furniture we owned and decided to keep using until the mortgage was paid off (see the photo below). I sometimes tell people that an excel spreadsheet is actually part of what set us free from debt. Shortly after we purchased our starter home (Hint hint young families), I decided to make a list of every payment broken down by how much of that payment would be principle vs interest as well as a simple graph to show progress. I had it in my mind that if I made some early lump sum payments in Year 1 and was blown away by how a couple of extra payments changed the trajectory of the line. 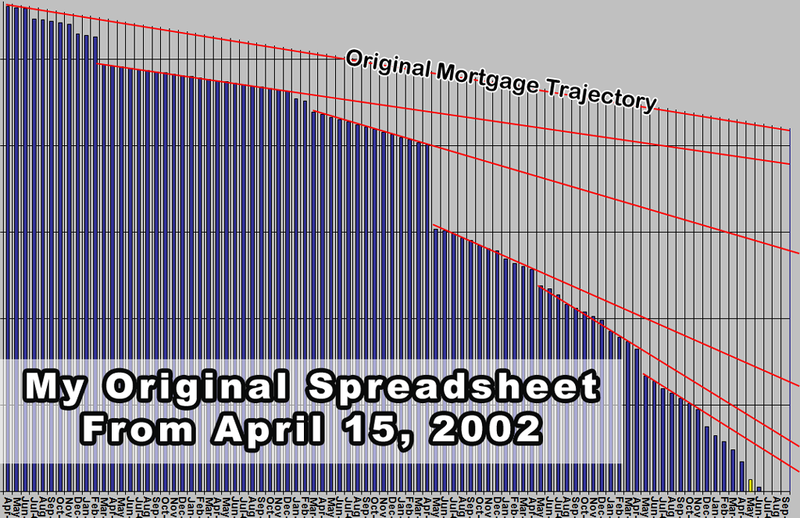 I have a clear memory sitting in front of my computer in that first house practically hyperventilating as I realized that cutting 10 years off our 25-year mortgage was not only possible but doable. This may sound strange, but in a way, I became debt free in my mind that day. Dave Ramsey is a radio personality that I highly recommend on this subject if you are ready to get started. One of his sayings is "If you will live like no one else, later you can live like no one else." I think this paints a perfect picture of having the end goal in mind. I was not familiar with Dave's program back in those days but my thinking was very similar, I was motivated by a realistic possibility that I could live a life without a mortgage and not paying a penny of interest ever again. Around this same time in my life, my oldest brother Frank was suddenly killed in a car accident at the age of 32. In one of my last conversations with my brother, he was telling me about his dream of quitting his job and starting his own welding business. As a young entrepreneur myself I remember encouraging him to work towards it but hardly with the urgency or enthusiasm I would pour into that conversation if I could relive that moment. You see, our family later discovered that my brother, who made very good money, was actually buried under a mountain of debt from credit cards, high energy bills, and the debts as a result of changing vehicles, quads, and other toys. My brother hated his job, perhaps this was one of his justifications for buying things to somehow make the struggle seem worthwhile. As I mentioned in Step 2, I already had my "reason" to live debt free, but after my brother's death my intensity went off the charts. This intensity has not only set me free from debt, but left me with a desire to change other people's minds about debt and setting them free to pursue their dreams as well. I didn't get out debt without help. My incredible wife played a key role in changing our financial future. She worked full time until we had kids, shopped for deals, made home cooked meals, and put up with that hand-me-couch, used vehicles, and a husband that questioned every dollar we spent (literally). One mistake I made at this step was not including her in my plan or explaining to her why this was so important to me. When I finally realized my spouse was the greatest ally I could have this process became MUCH easier. You should also surround yourself with friends that encourage you in this mission, friends that will hang out in your living room playing board games drinking no-name soda. You can still like your friends that always want to go to the steak house or take off Hawaii for vacation, but instead of renewing your passports just let them know you'll have them over for a wiener roast in your backyard when they return. 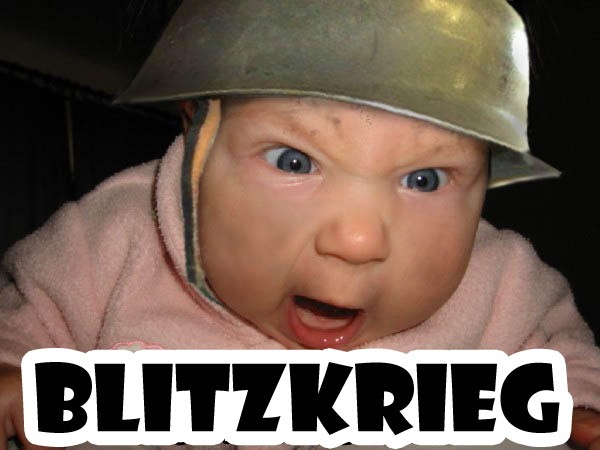 The word "Blitzkrieg" (Lightning War in German) basically means to overwhelm the enemy on a narrow front. In your case, the enemy is the debt or any non-essential desires that will keep you in debt or cause you to borrow money. Which debt do you attack first? Financial advisers disagree on whether you should attack the smallest debt (as Dave Ramsey suggests) or the debt with the highest interest. In my situation this argument was irrelevant, I took no prisoners and put every single dollar on the front lines of attacking our debts and then the mortgage. This included canceling cable TV (long before Netflix), dropping our internet for a summer, selling computers I refurbished on the side, and just auto-rejecting every impulse to spend money for the sake of "splurging on ourselves". A perfect example of this was in a large unexpected tax refund I received just as we were about to have our first child and in the first year of our mortgage. To my amazement, we were going to receive a refund of about $3900 that year. I remember my first rational thought was let's put most of it ($3800) against our mortgage and hold back $100 to go out for a nice dinner to celebrate. Sound reasonable right? So what did we do? We not only put the full $3900 into the mortgage but we took $100 we had scraped together in savings and put a full $4000 against the mortgage instead. That's what we did. And that's what I call Blitzkrieg. Sounds crazy, is it worth it? Well, we signed a mortgage for our starter home shortly after we were married. I mentioned in step 1 how fired up I was about getting it down from 25 years to 15 years. We officially paid off our mortgage just 7 Years and 1 month after signing it. Since then we took that 3rd generation couch to the dump and replaced it with a sectional we found on clearance. 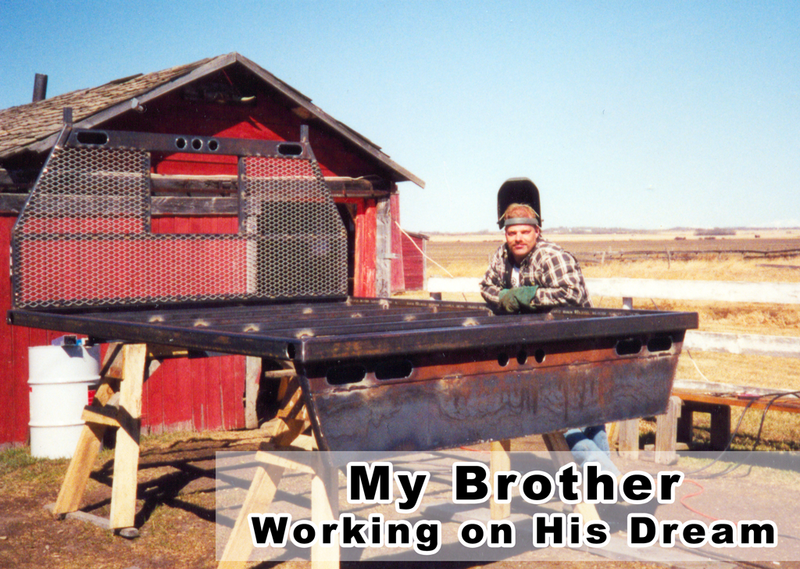 My brother that passed away didn't have a chance to start his welding business but I was able to quit my job almost 10 years ago to start my company doing what I enjoy. To be perfectly honest with you, being debt free is not the key to happiness, but it can certainly free you up to concentrate more on the things that do; faith, love, and hope for the future. So, yes, it's worth it. Share this with article with friends or family that will hold you accountable.